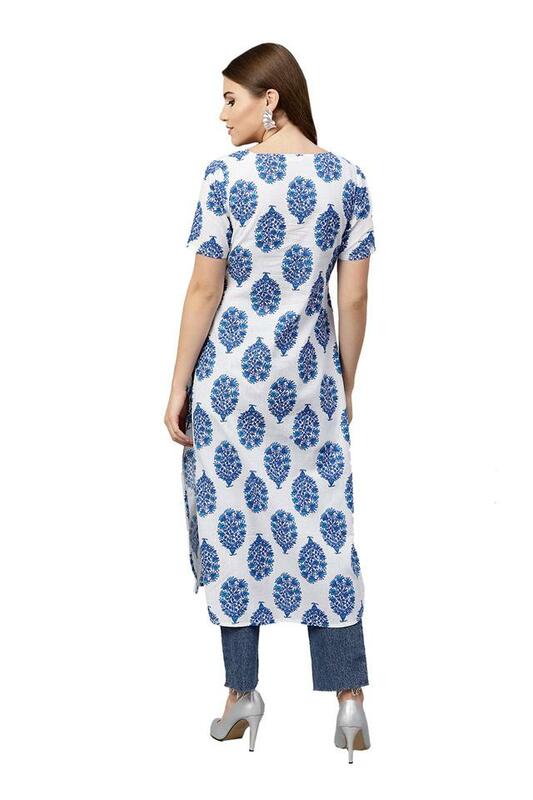 No ethnic wardrobe is complete without this straight fit kurta from Gerua. 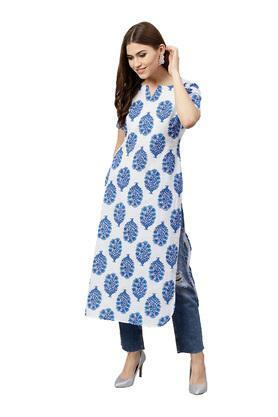 It is crafted from good quality cotton fabric that ensures you stay comfortable throughout the day. Moreover, it features a notched neck, half sleeves and printed pattern which gives it a glamorous look. 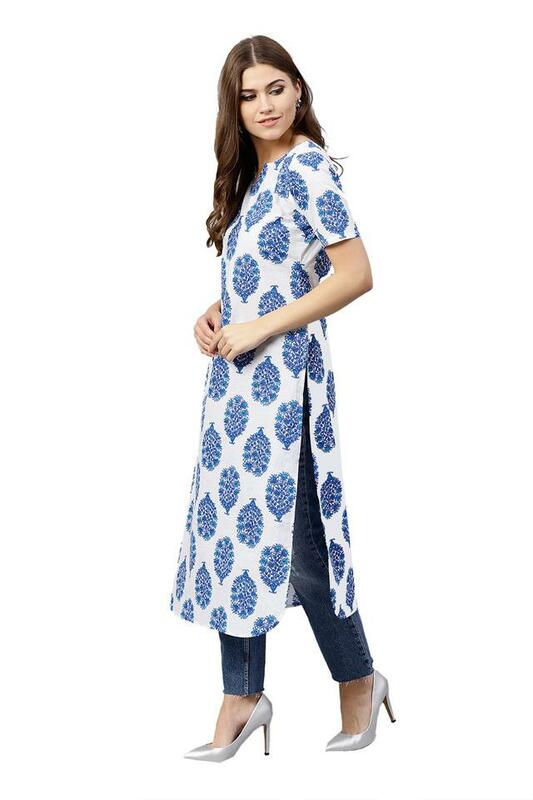 Flaunting rich hues and amazing design, this wonderful straight fit kurta is a perfect blend of elegance, class and style. Perfect for all occasion.